With all the talent and creativity that is continually poured into Hollow Hill, it is an ever-changing and increasingly beautiful place to visit. The Hollow Hill staff all work together to make it one of the most stunning and unique Fort Worth wedding venues. Learn more about the people that contribute to Hollow Hill’s amazing atmosphere! David A and Jean Gechter are the owners and operators of Hollow Hill Event Center – and David is the creator, architect and contractor of the facility. When you first meet David and Jean and hear them talk about “their” brides and “their” weddings you would think they were old hands at running a wedding venue. But, believe it or not, before 2010 they hardly knew the meaning of the word “venue!” However, it was only natural they would be good at running a venue given their people and organizational skills. David grew up on a farm in northeast Kansas – he even attended several one-room schoolhouses in his elementary years! He graduated from Kansas State University and received his Masters of Arts from Webster College while in the United States Air Force. As a USAF pilot David flew missions all over the world. In 1977 he was hired by American Airlines and was based out of DFW. Jean grew up in a small town in South Carolina. She received her B.A. from Winthrop College and her Masters in Arts of Teaching from The Citadel. While teaching high school mathematics in Charleston, SC, Jean met David who was based at Charleston AFB. They were married in 1972. In 1983 David and Jean, their two children and their dog moved to Azle and started building their home at Hollow Hill Farm in Parker County. The south part of the old Tucker dairy farm had rolling hills, a meadow full of wildflowers and a timber area that was the perfect habitat for various wildlife. In other words – Paradise! Friends and family loved visiting and enjoying the beautiful and peaceful country retreat. Jean retired from teaching in 2004, David retired from flying in 2008, and in 2010, after much encouragement from those who had often enjoyed the Gechters’ hospitality, the remodeling and construction for the Event Center began. For two people who were not even sure what a venue was all about, David and Jean seem to have found their calling. They both totally enjoy working with young couples and their families as they plan their special wedding day. And David loves seeing his dreams move from drawings on paper to actual buildings! Their “retirement hobby” is actually a dream come true! David and Jean have two children – Bob and Katherine, two beautiful granddaughters, and three grandcats! Come on out to Hollow Hill and let David give you the “history” tour of his facility – be sure to allow plenty of time for a travel back to the good old days! Bob joined Hollow Hill in February 2015 as the General Manager. He is a graduate of North Texas University. Bob is married and has two beautiful daughters. 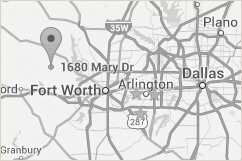 Before coming to work for Hollow Hill, Bob worked for Alford Media Services in Coppell, TX. He also worked for George Strait as Stage Manager and George’s guitar tech. Accustomed to large scale productions, he knows how to make any sized event happen without a hitch, which comes in handy as the general manager of the most unique Fort Worth wedding venues. Bob has a delightful personality and it really shows when taking brides-to-be and other visitors on a site tour of Hollow Hill Farm. If you have not had the pleasure of meeting Bob and experiencing Hollow Hill in person, schedule a visit now!